THOUSAND OAKS, CA: Long-time Johnson & Johnson communications leader Ray Jordan will move to Amgen, where he will serve as SVP of corporate affairs, on October 1. It is a new position at the company. Jordan will report directly to president and CEO Robert Bradway and oversee strategic communications across the therapeutics company. He will manage internal and external communications, philanthropy, and issues management from the company's Thousand Oaks, CA, headquarters. 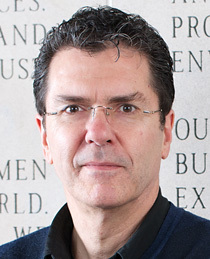 David Caouette, recently hired executive director and head of global media relations at Amgen, will report to Jordan. Jordan has led communications at Johnson & Johnson since 2003. Previously, he was VP for communications and information at Pfizer, where he held a number of other positions during his 17-year tenure. Jordan started J&J's first blog and enhanced the company's social media offerings during his tenure, as well as handling a range of other communications challenges. The company did not immediately name a replacement for Jordan. Michael Sneed, VP of corporate affairs at J&J, will manage his direct reports, said William Price, the company's VP of media relations. Jordan was routinely a member of PRWeek's Power List while at J&J. The company's former CEO, Bill Weldon, stepped down from his position in April after a spate of recalls. Former vice chair Alex Gorsky succeeded Weldon. J&J's McNeil consumer healthcare business recently issued an RFP for PR support for its Tylenol franchise.